With the rising implementations of Agile and DevOps methodologies, many organizations that have more business experts than technical experts are finding it difficult to keep up with the pace of development. These teams need a way to fully engage the business experts in the test automation process without sacrificing speed, quality and scale. Join Roee Weisbert, Senior Functional Architect, and learn how HPE Business Process Testing is the bridge that provides the ultimate scriptless framework for technical and non-technical users. 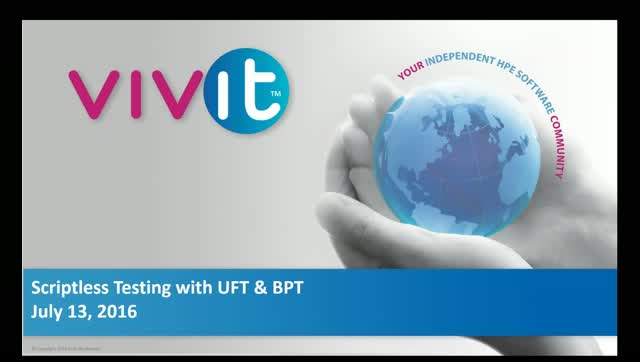 See how the latest updates to BPT & UFT allow testers to automate in an intuitive and easy to use platform, optimizing efficiency, time, and quality of your applications.